White shirt with Peter Pan collar, navy buttons in the front and navy scallop lace in front, sleeves and collar. 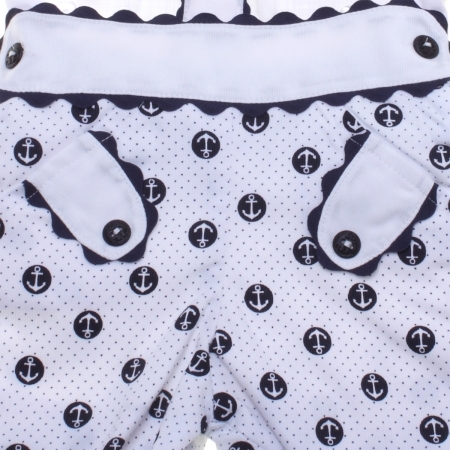 White shorts with small navy dots and navy anchor circle prints. The shorts are fully lined and elasticated. Two front pockets decorated by white pad with navy anchor buttons. White waistband with navy anchor buttons by the side.